The ability of your website to perform well in any kind of browsers or in environments that provide its required features and degrade gracefully when features are absent or lacking. 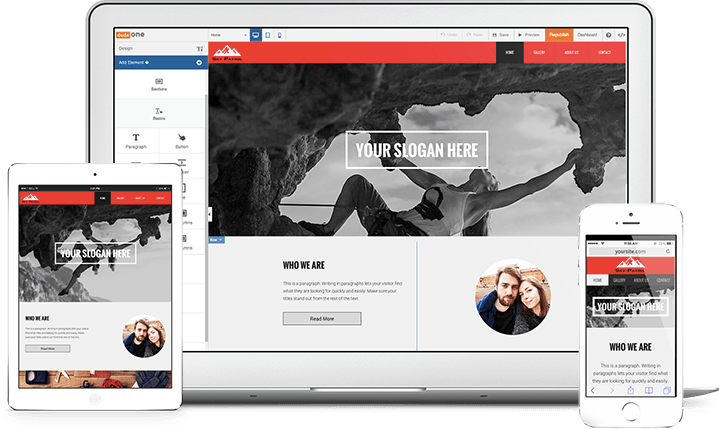 Now-a-days it is compulsory to provide a mobile friendly web design (responsive) experience to all users of website platforms, but it is not an easy task. We monitor the various new devices that are released every day, to cope with the continuous changes to make the website responsive.Mobile friendly web design (responsive) website design is an approach that takes into accounts a user’s behavior and the environment on the basis of screen size, platform and orientation. This is an essential design that eliminates the need for a different model for each type of devices. Our responsive website designs work in both tablets and mobiles. You can convert your current website into a mobile-friendly site, and it will undoubtedly upgrade your potential customers making them able to navigate your website on their mobile devices. You can make your website user-friendly by implementing a Mobile friendly web design (responsive), visitors will be able to get their content in a way that is easy to read. It will give the customer an easier way to contact you. Users will be able to navigate the website easier. It will show the customers you are up-to-date. It will reorganize your content. Users will see content easier. Mobile friendly web design (responsive) is the most appropriate add-on to provide a dynamic website. Our experienced team design sites that are responsive to various platforms including smart phones, tabs, desktops, and more. We provide professional web design that assists our clients in reaching the intended objectives. Maybe you are satisfied with your current website, but you should upgrade that for responsive usages. To get the most from your website you have to be as reachable as possible and Responsive web design makes you available to thousands of web users. We work with you in order to update and ensured your business is at the heart of the mobile revolution. Our services will be very beneficial for your company; it will help your business to be ranked at a higher search engine placement. Responsive Web Design has been developed over the past few years delivering the content to the customers in an easy way. It has been added a new dimension in the IT industry. Responsive Website Design is becoming more popular day-by-day, there are many reasons to become famous. People of all ages are becoming fans of these types of designs. It is becoming more affordable day-by-day. There are many effective plug-ins to make your website responsive. WE have to use flexible grid layouts, css, and appropriately sized images. It will automatically respond to any type of user’s device. Responsive Web Design makes the modern browser results compatible. It is Search Engine Friendly providing Clean and Un-Cluttered Code.